Meal Replacement Shakes are easy to make and offer a powerful combination of vitamins, minerals, protein, carbohydrates and fiber even when youre pressed for time. 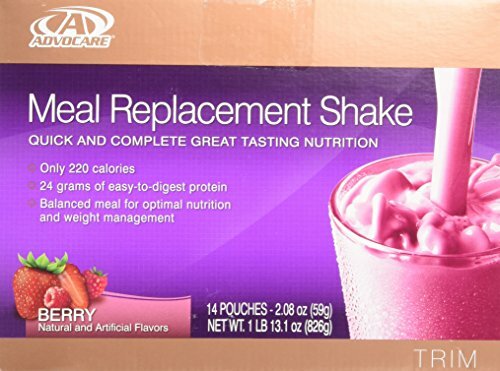 With 26 vitamins and minerals and 210-220 calories per serving, Meal Replacement Shakes are easy to digest and an excellent addition to your weight-management programMeal Replacement Shakes provide 24 grams of easy-to-digest protein and support the bodys ability to lower body fat when used as an alternative to high calorie foods. Furthermore, studies have shown that a 1:1 protein-to-carbohydrate ratio supports weight loss and provides sustained energy for healthy weight loss.